Qatar has gone through a significant development over the past couple of decades; this has made it one of the fastest growing countries in the Middle East. Moreover, development plans are steadily ongoing in Qatar as the country is currently preparing to host the FIFA world cup 2022. More development projects are being planned every day with the goal of making the country the best it can be, ranging from real estate projects to infrastructure projects to entertainment facilities. With all this significant development, more visitors, investors and expats are moving to the country every day, many of which now call Qatar their new home. That is largely due to the multitude of opportunities Qatar offers. The Gulf country offers residents a chance at career development in a vibrant family-friendly atmosphere. Albeit the government has developed numerous new areas in Qatar, the capital Doha remains the most populated city, and the most popular among residents looking for a home in Qatar. 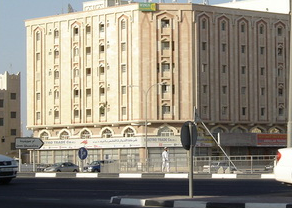 Doha comprises many areas offering various properties of all kinds. One of the best residential areas near Doha is B Ring Road. B Ring Road is right next to Doha. It is located in Ad Dawḩah, Qatar. B Ring Road is a 1.14 kilometer road strategically situated adjacent to Doha. It offers easy access to all the major areas in the capital. Properties for rent in B-Ring Road are plentiful and diverse. Various residential properties are available for rent in B-Ring Road, ranging from cozy studios to comfy apartments to spacious villas. Diverse commercial properties are also available for rent in B-Ring Road. And because it is well connected to all the key areas in the capital, you can easily find excellent amenities, great facilities and premium services nearby. Properties for rent in B-Ring Road are very widely sought after as they are often reasonably priced, and also because the area features a wide variety of shopping and dining options. Properties for rent in B-Ring Road are also popular because the neighborhood lies in close proximity to all the key areas in Doha. Furnished, semi-furnished and unfurnished properties for rent can be found in B-Ring Road. Why choose to rent a property in B-Ring Road? B-Ring Road is very popular among people looking for a property near Doha. B-Ring Road offers affordable properties for rent, ranging from cozy studios to nice apartments to elegant villas, all available both in compounds and as standalone buildings. Properties for rent in B-Ring Road are usually reasonably priced and generously spaced. Add to that the fact that the area is very well connected to a multitude of facilities and services. All in all, Properties for rent in B-Ring Road provide a fantastic home, or a perfect place for business, in a great location in the heart of Qatar.